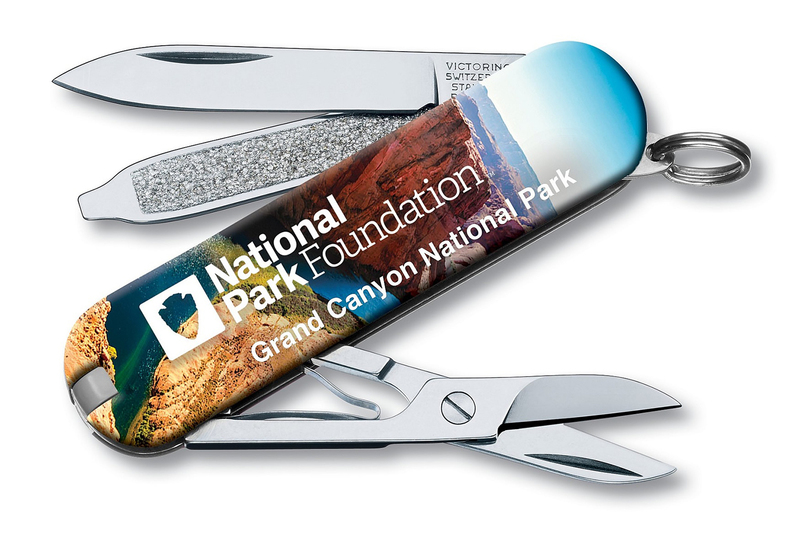 Victorinox Swiss Army will donate $25,000 to the National Park Foundation. 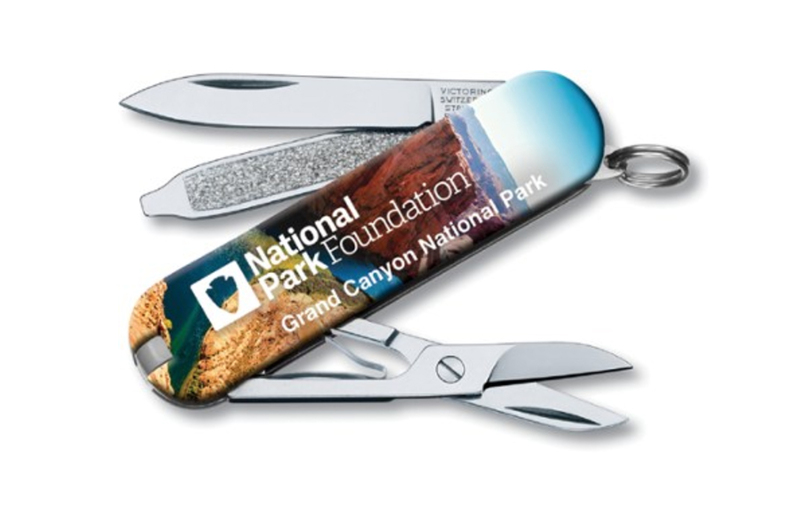 You can support the effort by purchasing one of two Swiss Army Knife models. 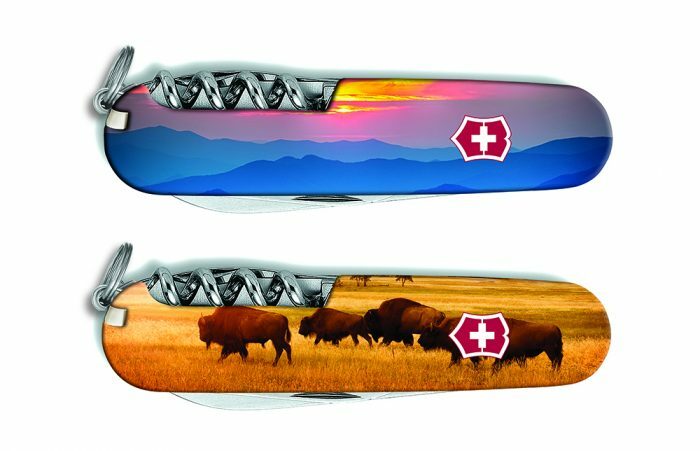 The Classic SD and Camper, two of the most popular Victorinox Swiss Army Knife models, are now available with national park themes. It’s a small detail that doesn’t affect the well-known performance of these little knives. But they’re pretty neat. It’s worth noting with National Park Week coming up April 15-23 (a date flanked by four of the NPS’ fee-free days April 15-16 and 22-23). The Camper version has two blades, a can opener with screwdriver, bottle opener with screwdriver, corkscrew, wood saw, toothpick, tweezers and wire stripper/reamer with sewing eye. They are available in models commemorating Glacier, Grand Canyon, Great Smokey Mountains, Mount Rainier, Rocky Mountain, Yellowstone, and Yosemite national parks. The simple design has a scissors, blade, screwdriver, nail file, tweezers and a toothpick. Get it for Mount Rainier, Grand Canyon, or Yellowstone national parks. It sells for $20 at REI. The National Park Foundation is the official charitable partner of the National Park Service. It works to enrich America’s national parks and programs through the support of private citizens. The foundation was chartered by Congress in 1967. It grew out of a legacy of park protection that began over a century ago, when citizens took action to establish and protect national parks. Carry one of these knives every day to remind yourself of the places you love.